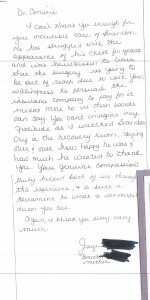 I can’t thank you enough for your incredible care of Brandon. He has struggled with the appearance of his chest for years and was heartbroken to learn that the surgery was going to be out of reach due to cost. 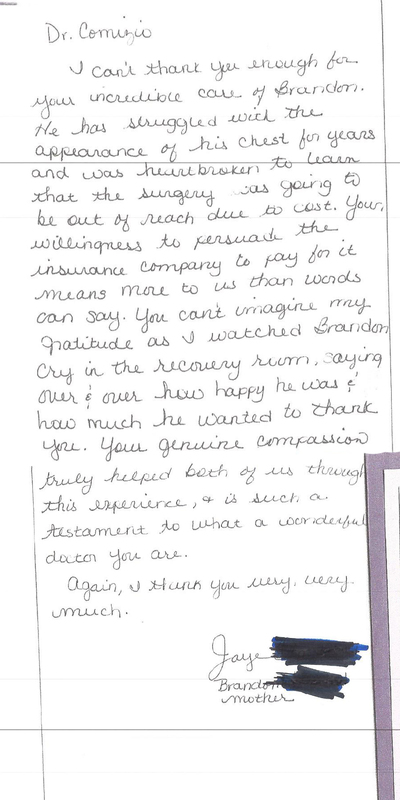 Your willingness to persuade the insurance company to pay for it means more to us than words can say. You can’t imagine my gratitude as I watched Brandon cry in the recovery room, saying over & over how happy he was & how much he wanted to thank you. Your genuine compassion truly helped both of us through this experience & it is such a testament to what a wonderful doctor you are. Again, I thank you very, very much.